#NCBD Pull This! November 7, 2018: The 5 comic books you should buy this week – AiPT! 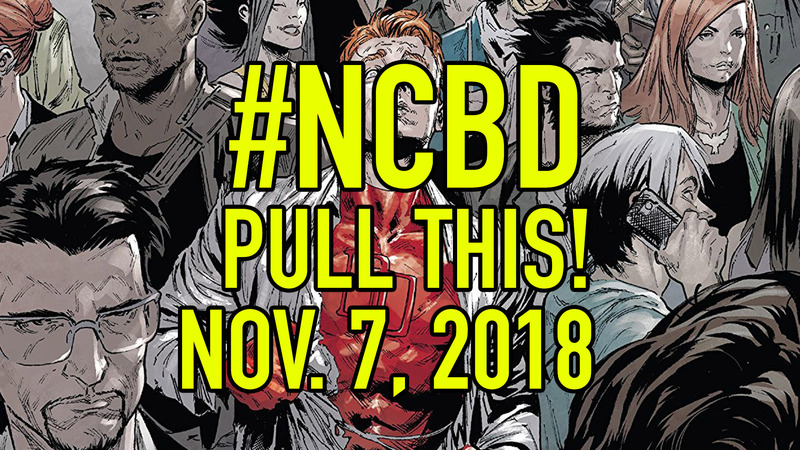 We’re back with another edition of Pull This!, where host Connor Christiansen breaks down the five comic books that absolutely must be on your pull list this week. This week is a big one, as Marvel is celebrating the 20th anniversary of their Marvel Knights line with the aptly named Marvel Knights: 20th #1. And over on the DC side, Grant Morrison’s highly anticipated The Green Lantern #1, with art by Liam Sharp, is finally hitting shelves today. Rounding out the list is Eclipse #12, a new Star Wars adventure in Han Solo: Imperial Cadet #1, and BOOM! Studios’ Empty Man.